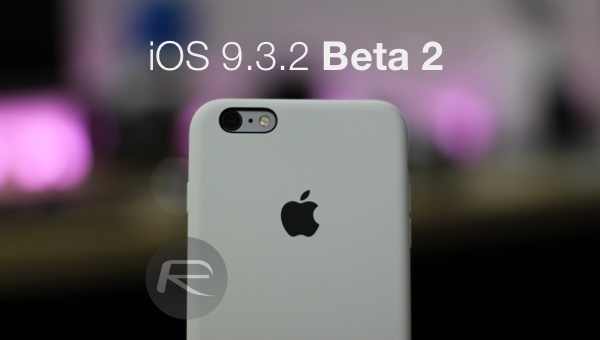 Apple has just made available to download iOS 9.3.2 beta 2 for supported iPhone, iPad and iPod touch devices. This release comes exactly two weeks after Apple seeded first beta build of iOS 9.3.2 to both registered developers and public beta testers. iOS 9.3.2 beta 2 is currently available to registered developers of Apple Developer Program only. It’s important to note here that iOS 9.3.2 is more of a bug fix and stability update than a feature update, and so keeping true to that tone, and the first beta release from two weeks ago, iOS 9.3.2 beta 2 doesn’t bring any new features to the table. It carries on from previous beta by adding even more under-the-hood improvements relating to performance, stability, security and bug fixes. As mentioned before, currently, iOS 9.3.2 beta 2 is only available to developers registered on Apple Developer Program, but it’s only a matter of time before Apple makes it available to those registered on Apple Public Beta Program as well. We will update the post once that happens. For now, if you are on Apple Developer Program, you can either head to developer.apple.com now and download the iTunes restorable IPSW file, or if you already have beta 1 of iOS 9.3.2 installed on your device, you can simply head to Settings > General > Software Update and grab the latest beta 2 of iOS 9.3.2 directly from there. Update x1: iOS 9.3.2 beta 2 now officially lets users enable Night Shift in Low Power Mode. You can find more details on it here. Update x2: Apple has now also released OS X 10.11.5 beta 2 and watchOS 2.2.1 beta 2. Details here.